What separates small businesses from their larger counterparts? Why do some small businesses appear like they are much larger in their marketing materials? How do you make your small business look like you have the resources of a large marketing communications firm or department? How is that some political candidates have fancy, glitzy websites on a low budget? How can my opponent afford such nice campaign materials on the amount he has raised? If you are looking for the answers to these questions and more, Kidder Communication Resources has the answers you seek. If you are a small business, we can give the world the impression that you are successful enough to afford a professional design firm, high end web design company, and offer you tha ability to place your product or service in front of image makers locally or around the globe. If you are running for elected office, we can provide consulting, strategy, media relations, web development, and campaign materials to make your opponent tremble. Our experts bring decades of experience to your business or campaign. We understand getting big results on small budgets. We specialize in helping small businesses and political candidates succeed. 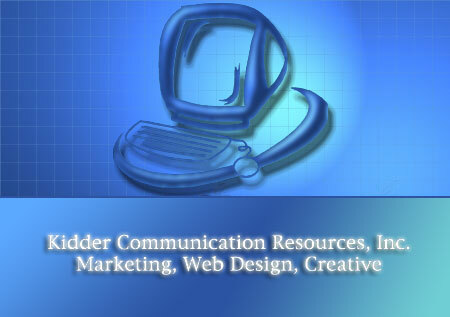 To learn more about we can help your business or campaign, contact us today.